One internet surfing “hobby” of mine is wikitravel. Oh boy, do I love wikitravel – it’s almost as good as being there. Well, not quite, but it’s a time waster. The user-written “travel guides” cover more than just the ordinary and are loaded with great “personal experience”-driven data that is at the same time free and invaluable. Quite often, though, I find checking out places like Labrador or Sudan the most fascinating. Yes, I imagine those two places have never been mentioned in the same sentence. While I have an affinity for the remote (explaining Labrador), when it comes to wikitravel surfing, I love to read the user-crafted warnings for extremely dangerous locales imagining a completely naive adventurer-to-be trying to plan a trip to South Ossetia. Now, who in their right mind needs to travel to South Ossetia? Needless to say, wikitravel is the only place one may find a travel guide for the place. They even give tips on how to deal with captors in the case of being kidnapped – now that is well thought out! The North Pole is an obvious choice – considering it might be one of the most experience. Heck, any “cruise ship” plan running north – whether it’s to the pole or through the Northwest Passages is one of the most expensive trips a person can sign up for. $20,000+ is the norm, with $10,000 or so likely getting you a trip around Northern Labrador and maybe to the first reaches of Nunavut if you’re lucky. I haven’t even gotten into the high Russian artic, which is all but impossible for even the richest tourists. Then there are places where it can be relatively “easy” to get in, but getting around is just not (or nearly not) possible. Count Myanmar on that list – where most of the country is hands off to tourists. North Korea is another one. Put on the nicest of nice faces, and you are – for all intents and purposes – quite safe in the country. Try to venture outside of the general tourist area and you could be in big trouble. War torn or politically ravaged countries are an easy bunch. Is it worth listing them all? Some are incredibly obvious. Some aren’t so. Some aren’t even recognized countries yet (South Ossetia being one). If you have any desire to travel to a danger zone it might be helpful to check out Robert Young Pelton’s site Come Back Alive. Mr. Pelton has visited most of the places a lot of us wouldn’t even spend a second considering – and, well, has come back alive to tell about it. He also has set up travel itineraries for those looking for a truly unique, and dangerous, vacation. Cuba – while beautiful and old-worldly in nature – is, of course, blocked for travel by Americans (unless you have a valid reason, of which journalism is one, but I don’t think you’ll see me try to use that to get there anytime soon). Bolivian visas not only cost quite a bit (around $130 last I checked) – but if you want to get there to explore the Yungas Road, you better be extra careful as this is by far the world’s most physically dangerous road. Of course any remote road could be considered dangerous – this includes the Trans-Taiga in Northern Quebec and the Canning Stock Route in Western Australia. La Rinconada in Peru is a difficult voyage due to the town’s extreme height and lack of easy access. It’s also devoid of any real tourism and mercury poisoning is a real problem for the mining town – the highest settlement in the world. 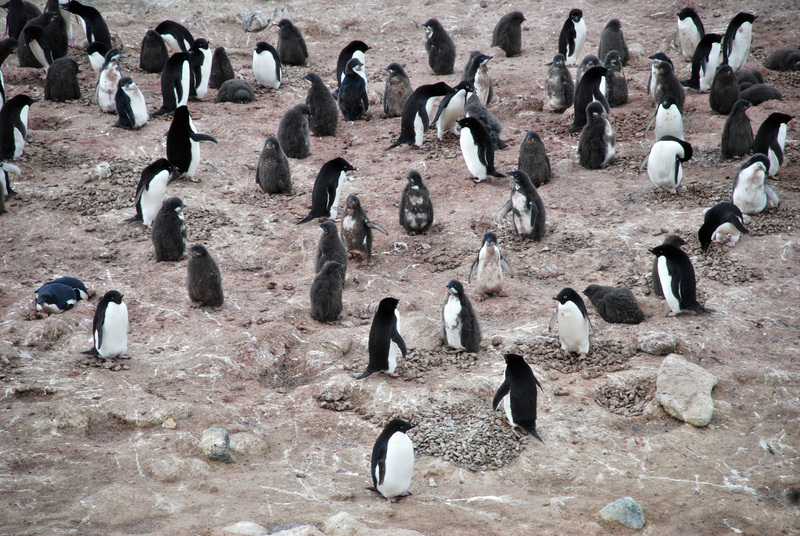 And then there is Antarctica – which may very well be the nadir of every adventurer’s life. It’s the “lost” continent, so to speak, inhospitable for sure, but still home to thousands of scientists year round. That said, traveling to Antarctica is akin to traveling into space – it’s a frontier of sorts for travelers who really want to stand out from the crowd. And it’s rather doable with total trip costs in the $7,000-10,000 range for a voyage (including flights to the southernmost of South America). I’ve always been in love with the remote and while I don’t have the cash to shuttle myself around like Richard Branson (who has been planning $200,000 space travel packages), I have a couple of these on my list – namely Labrador and especially Antarctica. That, or a visit to the arguably most remotely inhabited place on earth – Tristan de Cuna. When I get there, you will most certainly know.